The temple is one of the most beautiful classical temples in Greece and also the oldest surviving. 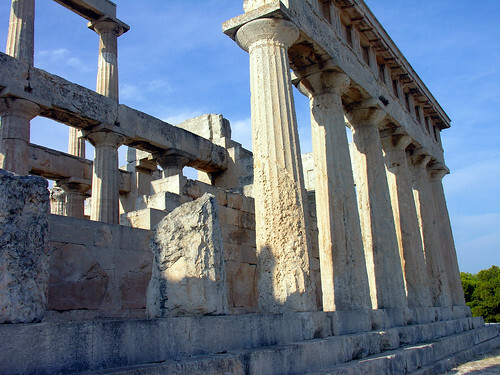 The first temple on the site (700 BC) was dedicated to Afaia, a deity from Crete. The Doric temple we see today, was built about 490 BC and dedicated to Athena, whose cult had merged with that of Afaia. The temple is built of local stone, and it served as a model for the Partenon and other temples in Greece, Asia and southern Italy.